The days of choosing between PC performance and tablet convenience may soon be over. 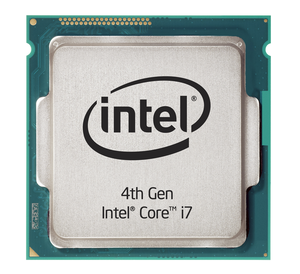 With a notebook running Intel's fourth-generation Core processor, code-named Haswell, consumers may be able to get both. In some ways, the justifications for buying a Haswell notebook sound familiar: The new Core architecture offers better performance while consuming less power, and this leads to better battery life. Intel has told a similar story during previous processor launches. But this time around, instead of boasting about how this generation's notebooks will be better than last generation's notebooks, PC vendors will be directly appealing to consumers defecting to tablets. Their argument: You can have all the long battery life of a tablet without giving up the performance (and versatility) of your Windows PC. From a pure performance standpoint, Intel’s new Core chips don’t deliver dramatic speed gains by themselves. Indeed, PCWorld benchmarks show that the Haswell parts don’t outperform the previous “Ivy Bridge” parts by that large of a margin. On the other hands, battery-life improvements should be significant. Intel says the notebook version of the chips will offer 50 percent more battery life than Ivy Bridge, along with 20 times longer standby life. The upshot is that Haswell-based PCs should effectively neutralize a traditional tablet selling point. The new Haswell chips fall into a huge range of products: The “U” and “Y” series are aimed at Ultrabooks, while the “H” and “M” series are aimed at more full-featured notebooks. Of course, there are also desktop chips, but the architectural improvements inside Haswell are really all about mobile battery life. "Intel claims Haswell improves battery life when doing real work by 50 percent, up from six hours with Ivy Bridge to nine hours with Haswell,” said Nathan Brookwood, principal analyst with Insight 64. “Biggest increase in history. That means users don’t need to drag their power adapters around if they’re out for a few hours, and don’t have to fight over available AC outlets in meeting rooms." The first Haswell players are already taking the field: the Dell XPS 11, the Asus Zenbook Infinity, and Acer’s eight-inch Windows tablet, among others. 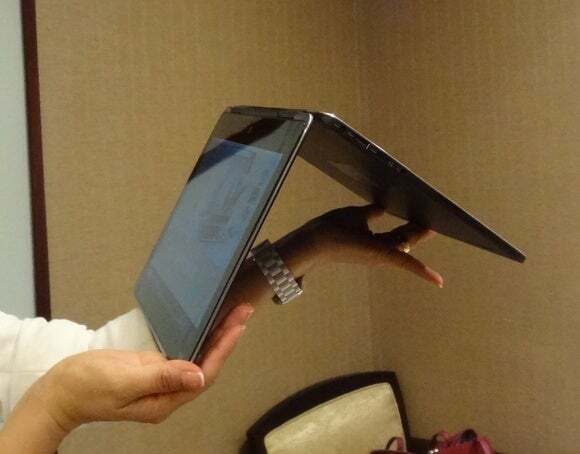 The Dell XPS 11, a foldable fourth-generation Core, Windows 8 tablet. Haswell: the Windows 8 of microprocessors? While Haswell's battery life improvements looks spectacular, PC manufacturers will still have to convince users to consider a notebook purchase just when they're running for tablets in droves. Just last week, IDC reported that the PC market should slip 7.8 percent this year, as tablets gain ground. Tablet sales should top 229 million units this year, while traditional PC sales will be around 320 million. But the two lines should cross in 2017, the firm said. If you buy the argument that Windows 8 straddles the gap between PCs and tablets—the “Metro” interface for the tablet, and the desktop interface for the PC—you can make the argument that Haswell (or perhaps its 14 nm successor, “Broadwell") will serve as a transitional chip to the tablet. And that’s the ultimate target. Of course, the bridge that crosses that gap could be the convertible Windows tablet, which really combines the best of both tablets and notebooks, together. Those products do offer opportunity for confusion: Should consumers buy a device with an Atom processor, which Intel has now rebranded as the Pentium? Or something with a more traditional Core processor? That’s another issue entirely. Suffice it to say that deciding which chip is a better fit is probably a better problem to have than lacking a tablet offering entirely. Unfortunately, there's nothing saying that consumers are going to drop their existing notebooks and desktops, and run right out to buy a Haswell machine. Most users can deal with the inconvenience of a notebook whose battery life is on the order of three-and-a-half hours, versus something along the lines of five or six, without forking over an additional $600 or so. And then there’s the issue of plummeting tablet pricing: The market already offers an instant-on mobile solution that can be had for $300 or so. The goal now for Windows 8 hardware vendors is to simply offer a better package than tablet vendors do. Part of that solution was supposed to be Windows 8. That didn’t really work. Microsoft’s second swing will be Windows 8.1. Intel’s offering is Haswell, with Broadwell on its heels. And where the PC is concerned, each partner needs the other partner more than ever.